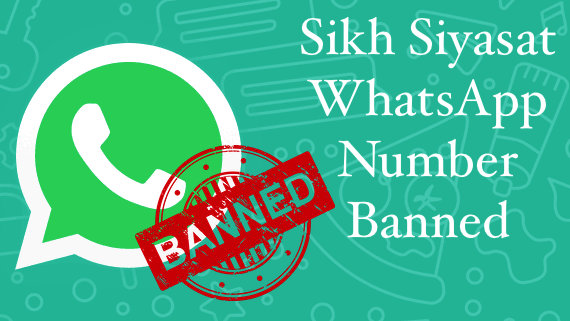 This is to inform the readers and subscribers of the Sikh Siyasat News (SSN) that our WhatsApp number +91-855-606-7689 has been unbanned by the WhatsApp. This is to inform to the readers of the Sikh Siyasat News (SSN) that we are not able to use WhatsApp on our WhatsApp number +91-855-606-7689 for past one day. 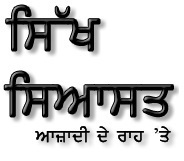 The Sikh Siyasat News announces to launch its’ first mobile application for Android users. 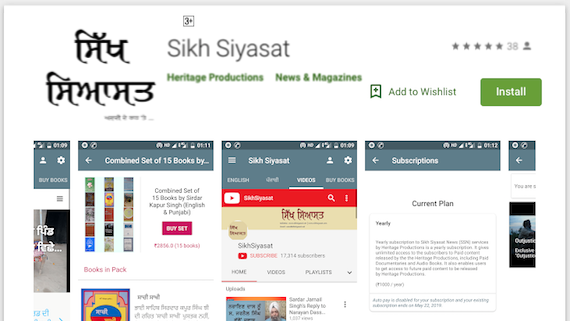 The “Sikh Siyasat” app is now available on Google Play Store and users can download the app by simply searching “Sikh Siyasat” in the digital store on Android OS phones. Overseas premier of the documentary titled "OUTJUSTICED 2" - depicting the struggle of victims of state oppression will be held today (Thursday, Dec. 08) atKings College, London (Waterloo Campus) at 6 pm. Sikh Siyasat News (SSN) editor Parmjeet Singh talked to Sikh author and intellectual Sirdar Ajmer Singh about Sarbat Khalsa 2015 gathering that was held on November 10, 2015. This is second part of the talkshow. Sikh Siyasat News (SSN) editor Parmjeet Singh talked to Sikh author and intellectual Sirdar Ajmer Singh about Sarbat Khalsa 2015 gathering that was held on November 10, 2015. 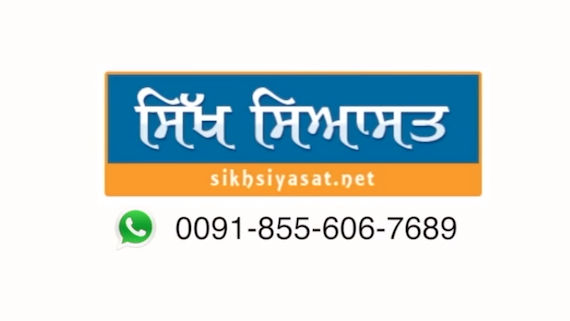 Ludhiana, Punjab (January 28, 2012): Sikh Siyasat has switched over it's Punjabi news service website from punjabnewsnetwork.com to sikhsiyasat.info. The change is meant to bring clear identification of the services as well as for the convenience of visitors/readers.